Kelly and I recently had the opportunity to check out The Kitchen Engine at the Historic Flour Mill. Although we had been there before, usually it was on the way somewhere else. This stop was only to look around at The Kitchen Engine. Their facebook fan page touts “our customers are our family” and the way we were greeted by Will and Lola it is no surprise that they have that motto. We were welcomed and greeted as if they knew us, way before we let them know that we were there to review the store for The Spokane Grapevine. By the time we left we felt as if we were part of the family. This is truly the kind of store we love to visit and to tell all of our friends about. 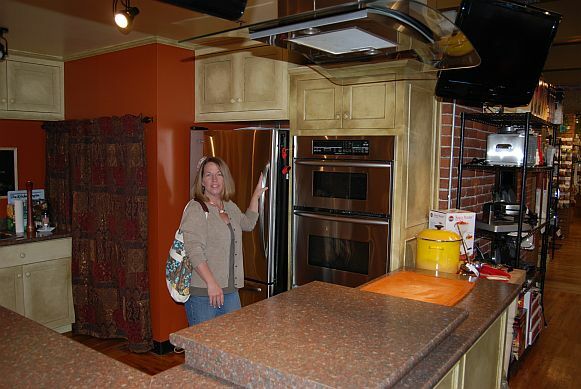 The Kitchen Engine holds cooking workshops in their own kitchen on site and hold a full calendar of tasting events. Anything from breads to coffee can be on the menu for these events. Check out The Kitchen Engine’s Calendar of Events page for details on their many events. Help The Kitchen Engine celebrate 4 years of serving up Spokane with the best of kitchen wear available. Starting September 15th thru the 17th they will holding an Anneversary Sale with daily tastings, demos from local chefs and door prizes galore. 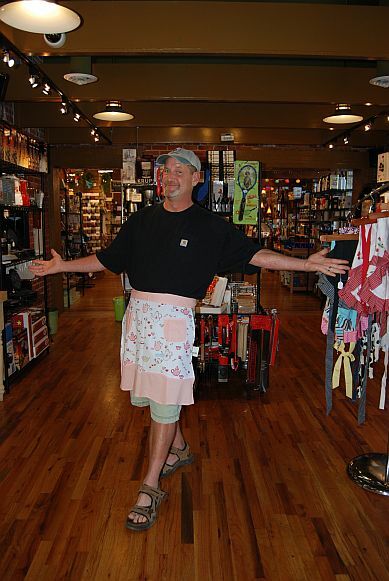 The Spokane Grapevine recommends The Kitchen Engine with two aprons up.